We’ll carry your pack while you enjoy your hike! Much of the 1,200 square mile Wallowa Mountain range in northeastern Oregon lies within the 360,000 acre Eagle Cap Wilderness, an area with scenic wild rivers like the Minam and Imnaha, 53 high mountain lakes, 540 miles of trails, granite crags, and steep-walled valleys formed by ancient glaciers. This is the country of the Nez Perce tribe, pioneers, trappers, explorers, and gold miners. And it is a great place to explore which we do the work! Check out the info below for our Backpacker Support, Supplied Camp rentals, and Guided Hiking or Work-cation trips. Let us do the packing while you do the enjoying. Cornucopia Wilderness Pack Station can haul your gear into a base camp of your choice from which you can experience all the Wallowa's have to offer! And when you really have to get back to civilization, we'll bring your gear back our so you'll leave no trace until your return--and who wouldn't want to return. Hike or Ride, your choice. 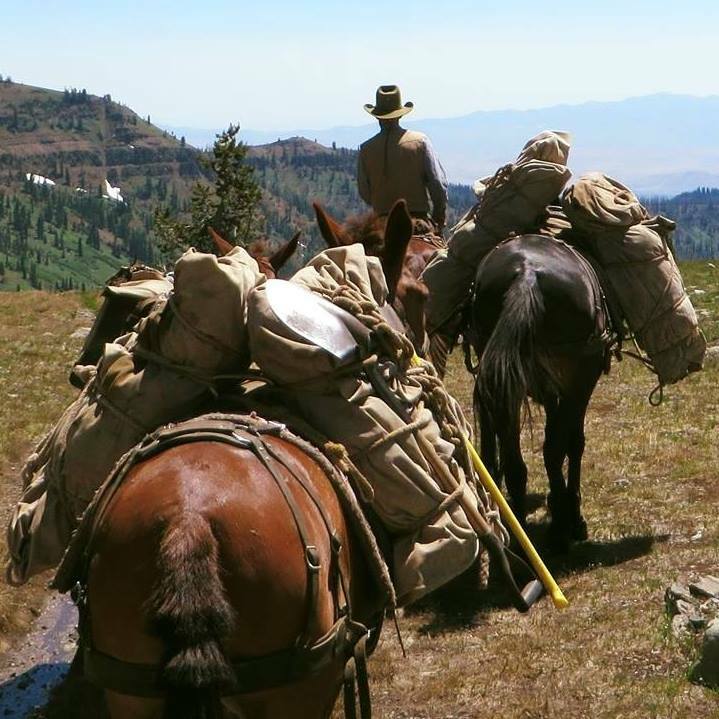 Mules will pack up to 125 lbs of gear each. Price . . . $450 for one packer and two mules each way. Each riding horse or additional mule is $100 each way. Want to cut back on the gear you need? Check into our "Supplied Camp Rentals" - $100/night and all you need is your food & personal gear. We supply a wall tent, cooking equipment, cots, lanterns, etc. We are excited to announce our partnership with “Go Wild” which now allows us to offer guided hiking trips (day or overnight)! As us about these immersive adventures that include top class chef-prepared meals. Also… we now have several options for those who want to learn something or to “give back” to this amazing natural world we live in! Ask us about our “trail clearing weekend”, our “Boy’s Wilderness Pack Trip” or our targeted trips which can focus on your desired learning adventure (such as camp cooking, habitat knowledge and more).